The Greater Vancouver Motorcycle Club is hosting a Trail Ride and Fun Run at the famous Chipmunk Creek riding area. For those that have not ridden at Chipmunk, it is great coast single-track experience. Great trails, all fixed up by Wally and Chipmunk Creek Trail Riders crew special for this trail ride. Includes PeeWee, B, and A loops. Have all the fun of an arrowed marked course, with no pressure of the Piston Run. The weekend of September 8th & 9th is BCORMA's Rider School weekend at Squamish, BC. See attached poster for more details about this great opportunity to learn and ride in BC's famed Coast Mountains at Squamish. Sign up today to get a spot. Sorry about BCORMA's news feed being the source of 5 or 6 bogus news items from a spammer. Somehow the spammer defeated our CAPTCHA security for the first time. Thanks to Blue Mountain Motorcycle Club for notifying me right away. Read Wally's June Newsletter. Its attached to this blog and your email if you got it in that form. 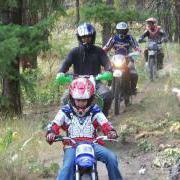 The Nicola Valley Dirt Riders are a new Dirt Bike club located in the Merritt/Nicola Valley area. Merritt is located about 1 hr drive north of Hope via Hwy #5 or Hwy #1. Squamish - Insurance compliance update: Sat May 27 & Sun May 28th at the Forest Service Road ( FSR) known as the Mamquam. 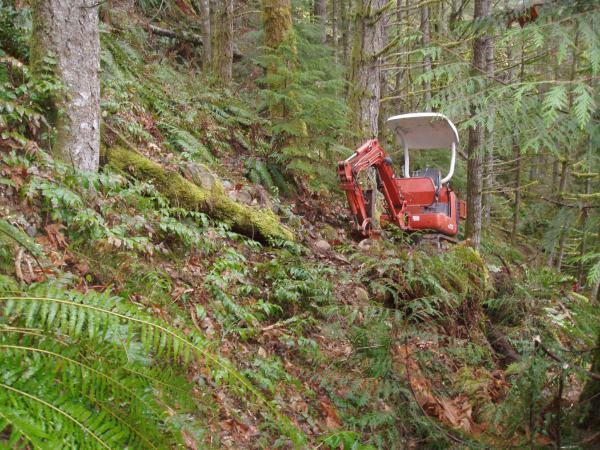 On both days Provincial Conservation Officers (CO) asked for proof of insurance. The officers were peaceful, and friendly. Both times I was asked, my motorcycle was still in my truck, and hadn't been ridin yet. , I guess there is a presumption that you are going to ride on the FSR, although you can acess the trail head without being on the FSR if you know the area, i dont think the trails require insurance. Get your 2012 BCORMA Trail Pass in the BCORMA Store or from a club. Support all the trail works being done out there so you can have a great ride. Get to your local KTM dealer and support trails in BC! KTM will provide $10 to the BCORMA Trail Stewardship Fund for every rider who goes to their local KTM dealer, has a coffee and looks at the new line-up. Just print of the attached coupon and take it to a KTM dealer near you. Nothing to buy. Click on the poster to enlarge for more details & directions. 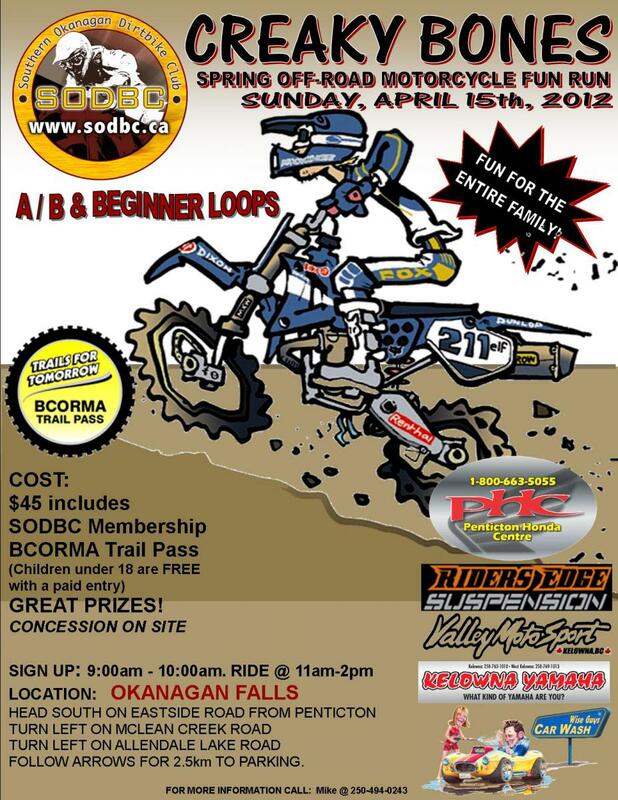 First BCORMA Ride School and Fun Ride weekend of the season coming up! 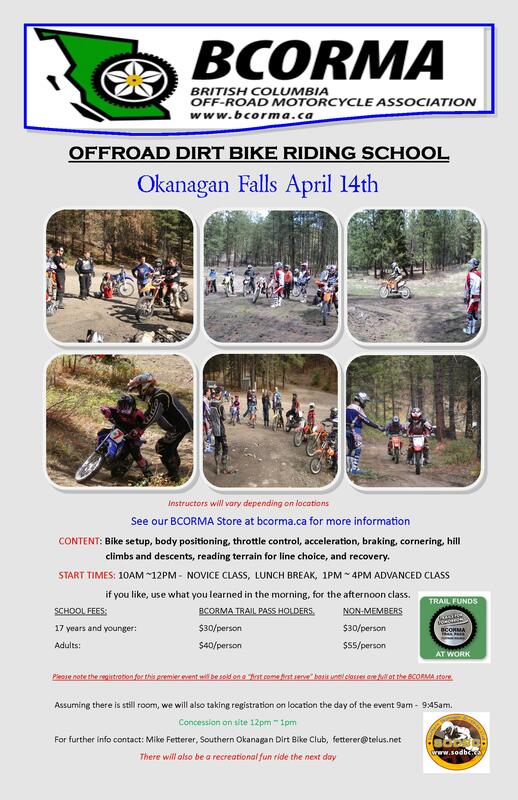 The weekend of April/15th is BCORMA's Rider School and Recreational Trail Ride weekend at Ok Falls, north of Osoyoos, BC.